Ethiopian Airlines announced that it has finalized installation of Boeing 777 Flight Simulator manufactured by CAE Inc. ahead of its schedule and is now ready for training. The addition of this new B777 simulator is on par with the airlines Vision to be an aviation leader in Africa and to equip its manpower with the latest and state-of-the-art technology the industry has to offer. Ethiopian was also the first in Africa and among the very few worldwide to acquire the B787 simulator. 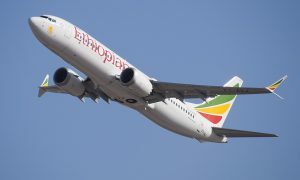 Group CEO of Ethiopian Airlines, Tewolde Gebremariam, said “HRD (Human Resource Development) is one the four pillars of our Vision 2025, along with Fleet, Infrastructure and Systems; since well trained, adequately experienced and performance focused aviation professionals are the engines of our fast, profitable and sustainable growth agenda. The full sufficiency in pilot training with both full flight simulators and fixed training devices for all airplane models in our service enables us to provide training to our pilots with the latest aviation technology machines. The installation of these machines in our newly built flight operations building reduce travel time to distant places for training and will increase quality time with their family at home base. Our employees are our greatest asset and the main source of our competitive advantages and we will continue to make all required investment in training and Ethiopian Aviation Academy. 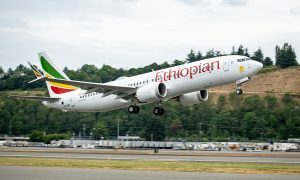 As Africa’s flagship carrier, Ethiopian has always been and remains aviation technology leader in the continent; we will continue to introduce the latest equipment of full flight simulators with the aim to serve not only the needs of Ethiopian but also dedicated to bridging the aviation skill gap on the continent”. 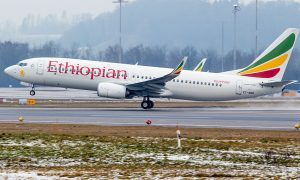 With its ongoing plan to modernize and continue on its pioneering role to be a leader in aviation training in Africa, Ethiopian has already prepared the facility to include an A350XWB and B737Max full flight simulators. Administration (FAA) to give world class trainings in commercial Pilot License (CPL), Private Pilot License (PPL) and Multi Pilot License (MPL) trainings using state-of-the-art training simulators and professional instructors.